Lamb meat can be simply described as meat coming from a baby sheep between the ages of 1 year and below. At this age, research has shown that the meat has the best texture as well as mouth-watering flavor. The latter sure explains why most people love to consume lamb. One of the many reasons why lamb meat comes highly recommended by nutritionists is because of its ‘complete’ protein. In this case, complete protein simply means having all the amino acid. And with well over 30 grams of protein per every 100 grams, it’s a no brainer why body builders love lamb meat with so much gusto. Just be careful when cooking lamb rack of your choice so that you don’t denature the protein. 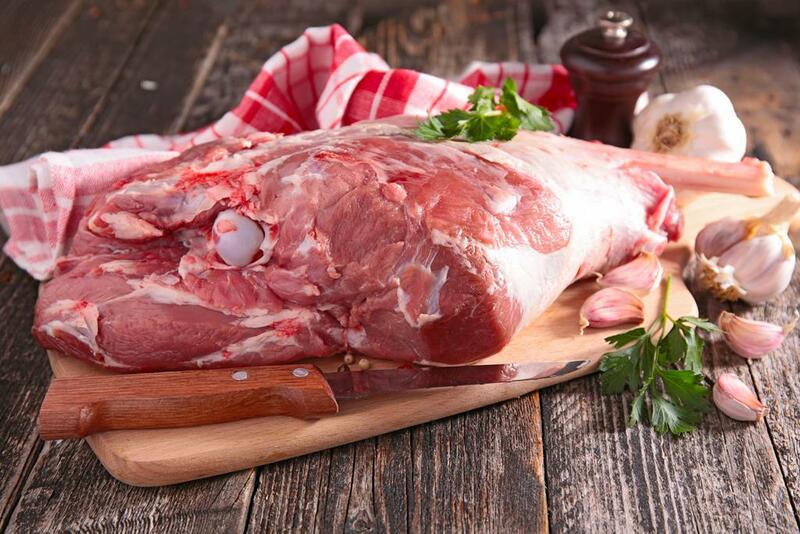 While most forms of meat contain majorly protein and fat, lamb meat has been known to have a plethora of minerals. Thankfully, most of these minerals also happen to be incredibly useful for the human body. Some of these minerals include Zinc (51%), Selenium (44%), Phosphorus (17%), Iron (12%), Potassium (7%), Copper (6%), Magnesium (5%), Sodium (3%), Calcium (2%), and Manganese (1%). Needless to say, all the above minerals have a specific function in the body, meaning that a lack of any of them will lead to an unwanted deficiency disease. Once again, lamb meat is a good sauce of omega-3 which is a good anti-inflammatory. Feel free to complement your lamb meat by eating some oily fish especially from the sea. And while you are at it, try cutting down the consumption of soybean oil. This is because soybean oil contains omega-6 fatty acids which are a pro-inflammatory that would cancel all the good deeds done by the omega-3 fatty acids. This is also another reason why people in the fitness industry love lamb meat. And the best thing about this kind of Creatine is that it’s naturally occurring. For those who don’t know, Creatine not only promotes muscle mass but its consumption also results in muscular strength as well as endurance. Lamb meat contains approximately 300-500 mg of Creatine for every 100 grams. As hinted earlier, the main reason why most people go for lamb meat is simply that it’s hella tasty. That said, if you want a better way to release stress and have a good time while staying healthy at the same time, then you might incorporate some lamb meat in your diet. In as much as this might not be a strong healthy trait per se, it’s important to note that being stress-free is important for our health’s sake. And if eating lamb meat on a regular basis does that to our system, then why not make a point of consuming it on a regular basis? Thankfully, learning how to cook lamb meat isn’t that complicated as long as you know how to follow simple instructions. There are quite a number of benefits associated with lamb meat, which makes it a good idea to be consumed. But that said, it is also very important for you to pay mind where you are getting your lamb meat. The best meat comes from lambs that fed predominantly on natural grass. You should also refrain consuming of meals that constitute more than 30% lamb meat in your daily diet. This is due to the simple fact that too much of something can have detrimental effects on your diet.